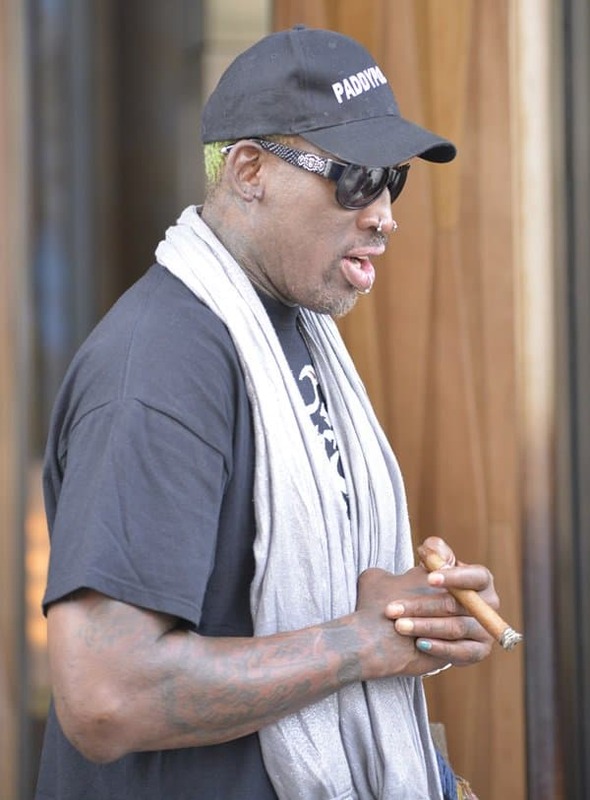 Dennis Rodman is back! No, the former NBA player isn’t back playing ball in the court, but he is back from North Korea. He made quite a fashion statement as he arrived at his New York apartment the other day. Wonder what the yellow-haired Rodman did to earn the attention (well, besides the fact that he is the Dennis Rodman)? He rocked some girly extras! Dennis wore a metallic infinity scarf with his t-shirt and sweatpants — nothing too shocking, really; except for the fact that he sported it with a handbag and some blue nail polish. Oh, and lest we forget, his “purse” was also decorated with another scarf! What an interesting character, right? Rodman was and will always be, a spectacle to watch. 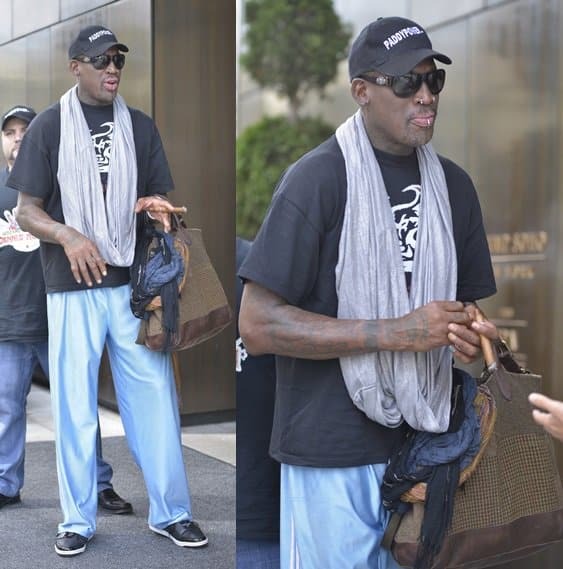 We don’t know what made him pick out that iridescent scarf, nor do we understand why he chose to wear a girly bag (no matter how sensible and neutral it looks), but then again, he wouldn’t be the infamous Dennis Rodman without the unexpected antics. That said, at least this guy knows how to pick his scarves (and he sure knows how to decorate a bag too!). In fact, we get the feeling that sparkly extra around his neck will look fabulous with a white blouse, a la the style below featuring the Thick and Thin Scarf from Collection XIIX. What do you think? Lush knitwork and a gossamer overlay provide a gorgeous interplay of textures on a fluid, shimmer-struck scarf.